I love sharing free templates of my latest crafting adventures and I've got a new one for you! 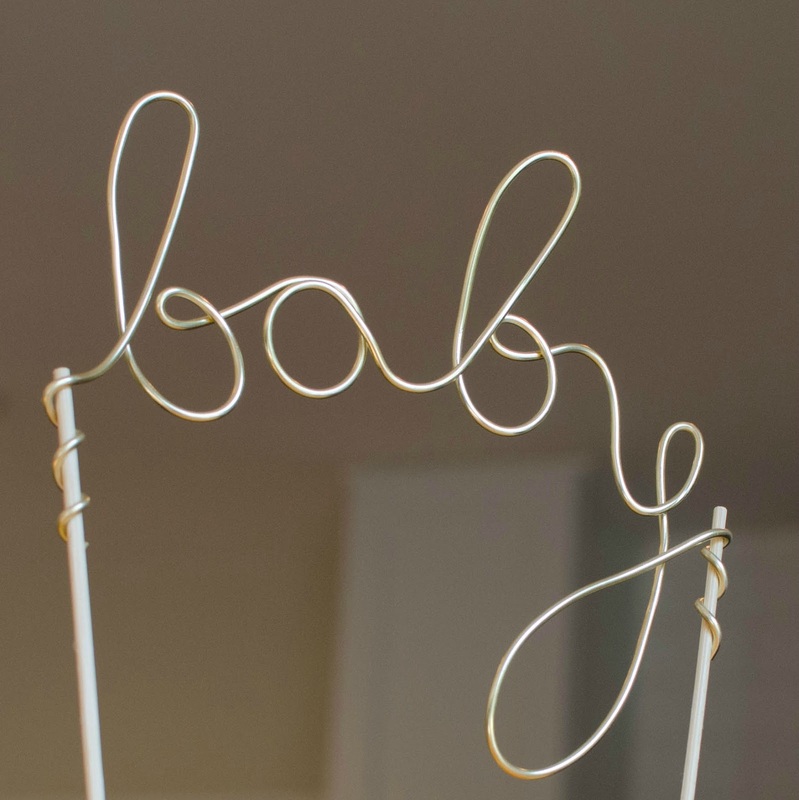 It is an adorably simple cake topper I made for a baby shower. I must have still had calligraphy on the brain :). The materials needed are minimal - thick gold colored floral wire, bamboo food skewers, wire cutters, and my free printable template. To begin, leave a few inches of extra wire before you start the letters. 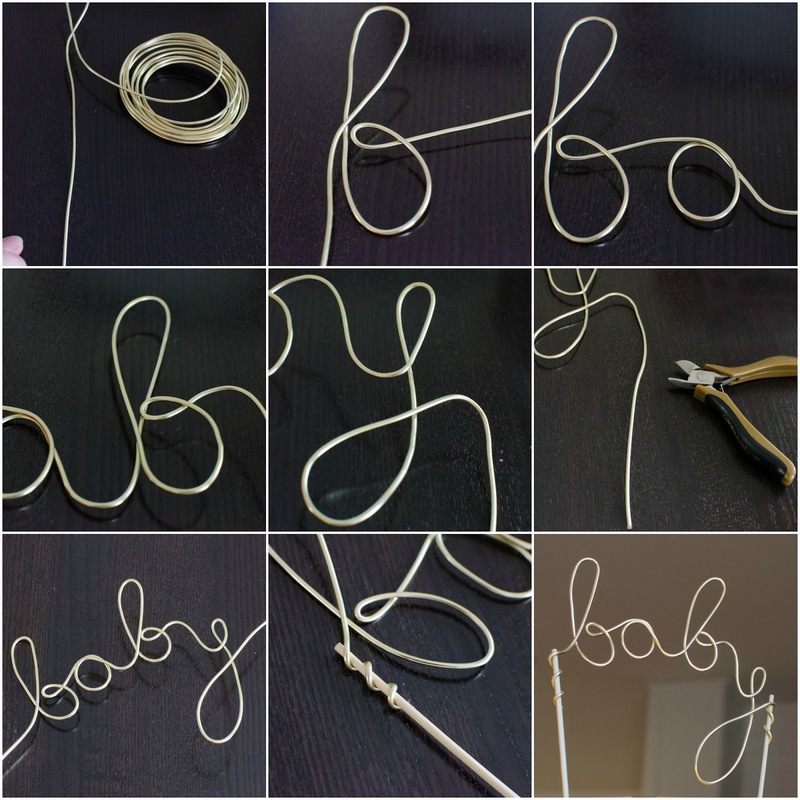 When forming the letters, gently bend the wire around multiple fingers at a time to get a nice soft curve (kinked wire is hard to smooth out). I found it was also easier to use the pre-bent direction of the wire coil for the curves whenever possible. Follow the template for letter form and sizing. At the end of the word, use wire cutters to cut the wire leaving a few extra inches at the end of the word as well. The extra wire at the beginning and end of the word are used to wrap around the end of the bamboo skewers. I found that about three tight wraps around the skewer to be sufficient to keep it from slipping. Once it is secured to the skewers, trim any excess wire. Once I got the sizing right, it took me about 10 minutes to make. 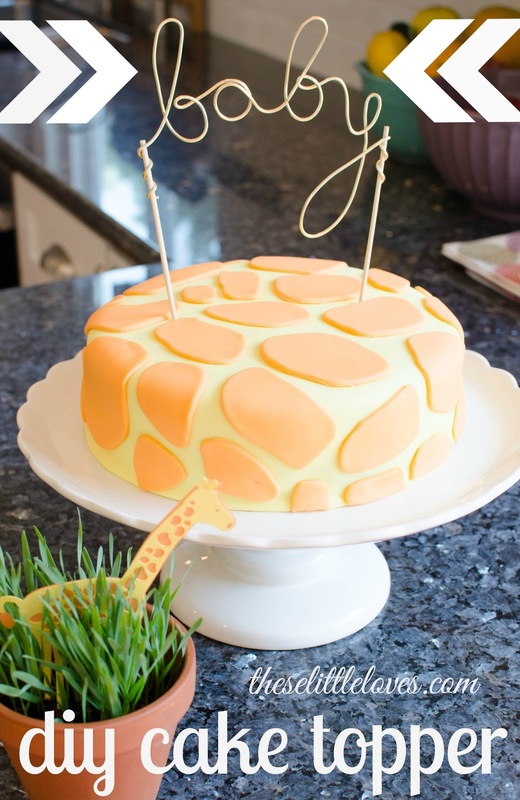 You may need to use scissors to cut down the bamboo skewers to get the right height for the cake. I'm pretty excited about how this turned out. And the idea of a wire word topper is so versatile - you could do an 'I do' or 'Mr & Mrs' for a bridal shower. You can also add embellishments to the skewers (think small flowers, ribbon). Get creative! Or keep it simple like this one.